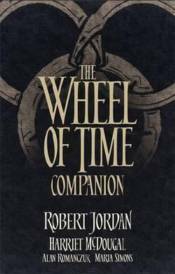 Since its debut in 1990, Robert Jordan's Wheel of Time series has captivated millions of readers around the world. Over the course of fifteen books and millions of words, Jordan created a rich and detailed world. Yet only a fraction of Jordan's imaginings ended up on the page, with the rest going into his personal files. THE WHEEL OF TIME COMPANION finally reveals a wealth of previously-unreleased information about the world of the Wheel of Time, as well as expanding on many known details. * And much more besides!